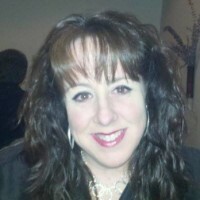 Kellie Morin-Araujo has more than 20 years of professional experience in her industry. Currently, she is the Senior Technical Editor at Waters Corp. Kellie’s career stems from being in the corporate world for 32 years and being a business-savvy person who has been working since she was 12 years old. Her main responsibilities consist of editing all supporting documentation for the medical devices her company makes, working with offsite staff, and providing support to a group of 40+ writers. Kellie was prompted to get involved in this profession by way of natural progression and abilities. She started out in the field of psychology, but quickly realized her passion was in editing. Her area of expertise is marketing and advertising, but she’s edited many different formats, including published novels and short stories. Kellie is a self-educator and loves learning new things. She’s received awards for achievement in her current job, as well as past positions. In the coming years, Kellie plans to grow her skills, develop her industry knowledge, and continue to make a difference in her field. She bases her success on her skills, but also on her innate ability to communicate with and develop positive professional relationships with anyone. She is looking forward to networking and connecting with other like-minded professionals, and to gaining the recognition and credibility of being a member.